The Golemancer is a bit different from other summoner builds, simply because you will not really worry about your minions dying. This allows you to focus on weakening enemies’ elemental resistances and taking care of your own survivability. The Elementalist is a great ascendancy choice when it comes to this type of build; it allows you to have two additional maximum Golems, while also making them immune to elemental damage. Overall, the build can be played as Life-based, Low Life, or Hybrid. For this particular guide we will be looking at the Life/Hybrid version since it is cheaper, and one major drawback of Golemancer Elementalist is that it requires some initial currency investment, so we try to minimise this. In order for the build to work, you will mainly use specific unique jewels that are not very cheap. The Anima Stone allows you to bump up your maximum number of Golems summoned even further; it is the most expensive jewel you will need, it is acquired by vendoring Primordial Might, Primordial Harmony, and Primordial Eminence. The second jewel you need is Primordial Might; it will drastically change the AI of your Golems, making them much more aggressive and easy to rely on. After you have the Anima Stone and Primordial Might socketed, you should fill up all of your remaining jewel sockets with Primordial Harmony jewels. These unique jewels are the “bread and butter” of the build. After that you can get some cheap unique items like Clayshaper and Victario's Charity, which can be even used in the endgame. Even though the required unique jewels are rare, they are not used by many people and the cost drops over the course of a league. Offensively, your main goal is to lower enemies’ resistances by making use of the Elemental Equilibrium passive keystone and applying a Curse with your skill at the same time; this will result in a huge resistance penalty, which will allow your Golems to destroy foes. Re-summoning a Golem every so often will ensure you have the Primordial Might buff up. Raise Spectre should be used for additional single target damage. Flesh Offering can increase your minions’ speed by a good amount. Defensively, keeping your distance and dodging lethal game mechanics with Shield Charge should be easy. The character easily achieves over 7K effective life pool, which will allow you to survive in most sticky situations. For playstyle, you can make great use of Winter Orb as a utility skill; charging it up just for a second will be enough to trigger Elemental Equilibrium and your Curse On Hit Support setup. When encountering tough single targets, just make sure to keep those debuffs up and let your Golems and Spectres do the rest. Liege of the Primordial increases you maximum number of summoned Golems by one; it also makes them immune to elemental damage, which immensely boosts their toughness. Elemancer allows you to summon one additional Golem and provides a good amount of increased Golem damage. Paragon of Calamity provides good defensive mechanic with the damage taken reduction to certain elements. Pendulum of Destruction will occasionally increase your area of effect by a great amount, which will improve the reach of your Winter Orb. With this endgame passive skill tree we are able to reach 10 jewel sockets, which is more than enough for you to stack the appropriate unique jewels. At the same we reach over 190% increased maximum Life and over 160% increased maximum Energy Shield, which will result in great numbers when it comes to an effective Life pool. For this particular build, we choose to kill all bandits, since helping any of them does not outweigh the benefits of two passive skill points. Major: Soul of Lunaris – This major god can be upgraded by capturing Ambrius, Legion Slayer in Colosseum Map, in order to avoid chained projectiles, which a problem for every summoner build. To fully upgrade this pantheon, you need to also capture Merveil in Underground Sea Map and Sebbert, Crescent’s Point in Moon Temple Map. In order to do that you need to have Divine Vessel in the Map Device while you are activating the particular map, then just kill the map boss and give the captured soul in the vessel to Sin in Oriath. Summon Flame Golem is your signature skill, which should ideally be used in a 6-Link. For mobility, use Shield Charge. Raise Spectres will augment your single target damage output. Winter Orb is used as an utility gem. Other gems like Animate Guardian, Vaal Discipline, Flesh Offering, Phase Run, Desecrate, and Convocation can be used. Summon Flame Golem is a ranged spell-based Golem that has two main skills, one that imitates Incinerate and a barrage of fire projectiles; we aim to scale the second ability since it deals great amount of damage. We recommend one link that works great for both clearing and single target. Note: If you do not have high level Empower Support, simply use Fire Penetration Support instead. Raise Spectres are used for the additional single target damage they provide. In this build we use Tuhohama’s Vanguards as Spectres, which can be found in The Mud Flats, Act VI. The Raise Spectre gem should ideally be socketed in a well rolled Elder-based helmet for maximum efficiency. Shield Charge will allow you to reposition quickly, it will also give you the Fortify effect when you hit an enemy. Winter Orb will allow you to easily trigger Elemental Equilibrium and Curse enemies. Vaal Discipline and Arctic Armour can be used for additional defense. Desecrate will help out with Raising Spectres and using Flesh Offering. Animate Guardian can be used as a mini aura bot. Convocation will allow you to call your minions in sticky situations. Capping your elemental resistances is essential and it should always be your top priority in any build; it should be the first thing you do when gearing up a character. Obtaining a 6-link, while very powerful and certainly recommended, can potentially be very expensive (requiring an average of 1500 Orbs of Fusing, obviously depending on your luck); as such, this should not really be a goal for you while gearing up, and you should instead settle for a 5-link until you have enough resources. All you need in order to get started is the unique jewels and a Clayshaper. A simple Tabula Rasa can carry you a long way. For the weapon slot, we must use Clayshaper. There is no better weapon for the Golemancer Elementalist. Half-instant Divine Life flask should be used, preferably with Bleed removal Suffix. Quicksilver will allow you to move around quickly. Silver flask will also improve your overall speed. Based on personal preference, you can run any utility flask you want. We recommend having at least Basalt. Rumi's Concoction provides additional Block Chance to spells and attacks. Taste of Hate can improve your physical damage mitigation even further, but can be very expensive and you should not focus on it too much. Make sure you have Curse and Freeze immunity rolled on your utility flasks. Here is a list of the unique jewels you will need for the build. Note: These are the only jewels you should be using; no Regular or Abyssal jewels should be used. You can start using Golems at level 34, until then you can use any leveling skill you prefer. We recommend Storm Brand. This early passive skill tree will allow you to start using Golems at level 34. You will have the 3 jewels sockets you need for The Anima Stone, Primordial Might and Primordial Harmony, along with enough Life nodes. After that you should just follow the endgame passive skill tree, aim to pick up Elemental Equilibrium and the other jewel sockets first. As you begin a new character, there are few unique items that can boost your power exponentially. Tabula Rasa allows you to have a 6-Linked skill as early as you get the gems. Wanderlust gives a decent movement speed, which will make your leveling that much more efficient. Goldrim provides a lot of elemental resistances, this will let you worry less about gearing when approaching certain Act encounters. You should equip Clayshaper at level 41. At level 16, you can add Arctic Armour for additional defense. At level 24, you can add Discipline for additional survivability. Finally, at level 34, you can transition to your signature skill Summon Flame Golem. This replaces your Storm Brand link. 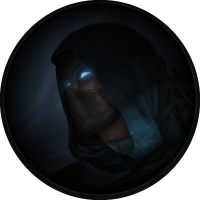 Why do you choose Elementalist over Necromancer, Occultist or any other ascendancy class? The Elementalist’s two Golem-related ascendancy nodes are just too good to pass on. They basically allow you to have 2 additional Golems, which is an insane damage boost and the elemental damage immunity basically makes them immortal. What map mods should we avoid? You will probably have some problems with No Regeneration maps, but they are still doable. This is one of the few builds that can do all map mods. With the Golemancer Elementalist you have the potential to take down endgame bosses and clear maps smoothly. The build requires some initial currency investment and decent game knowledge in order to properly setup items and gems, this is why we do not recommend the Golemancer Elementalist to newer players.